No significant achievement was ever made without the guise of risky danger in front of it. Oftentimes magnificent opportunities hide themselves through the smoke screen of risk. Taking risks in life is one of the quickest ways to success, and conquering fear. Look for a certain type of risk in which the rewards and potential payout are huge. This is why financial, presidential, social, and philanthropic giants stand out in the world as they do. These people like Gandhi, Nelson Mandela, Warren Buffett, Sam Walton, Henry Ford, the Wright brothers, Lincoln and others have succeeded to the world-renowned level. These strong characters started boldly taking chances in life early on and never let up the pressure. They knew how to overcome fear and push beyond the proposed limitations that risk presented. They have been studying, improving, and taking risky action for their whole lives and look where it’s gotten them! Right on top of the world and in front of hundreds of millions of eyes thanks to their achievements. 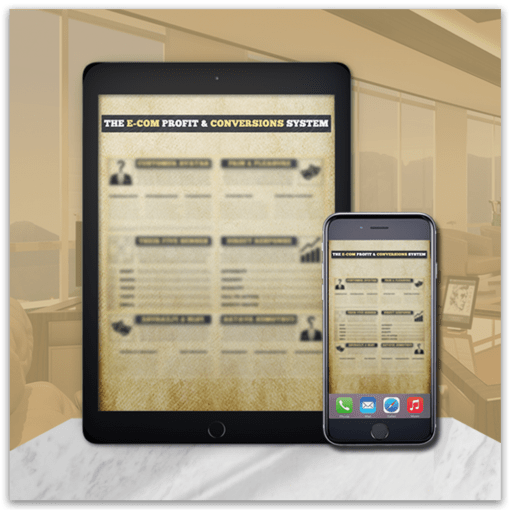 If you’re looking to join these ranks, or even to succeed to your desired levels, you’ll need to change the natural risk-averse prerogatives that were programmed into you. Taking risks in life is a learned skill, not an innate habit. Our DNA changes less than 1% every 10,000 years. Also, we differ from past humans in our genome ever so slightly. For instance Neanderthals and Homo Sapiens differ in their DNA by only .004%. Not saying Neanderthals evolved into Homo Sapiens, yet there are contradicting theories here, if you wish to pursue this incredibly interesting topic! We are programmed similarly to fear and be risk-averse because risk often meant death in hunter-gatherer days. Another huge disadvantage to taking preposed risks, was the outcast from the rest of the pack. If you were out on your own, your chances of survival and reproduction were next to zero. Nowadays this same fear manifests in today’s people with their huge fears of quitting their jobs to become entrepreneurs. If they leave the pack, that’s risky, they could “die”. In today’s world, I can practically guarantee you will not actually die this way. Your old self might die, but that would be a positive thing. You will grow out of those ashes to become a master at what you do, as long as you stick with it and learn the necessary skills. Imagine the worst possible outcome in vivid detail. What’s the worst that could happen if you do the thing? You may go broke, yes. You might become homeless or go bankrupt, worst case scenario, yes. However, there are infinite positive potentials in the distance that can be good for you. The trick is that you’ll never know what they are unless you take what looks like a risk. If you never venture out into the unknown, you will always live your life guessing at what could have been, had you mustered up the courage. Unless you’re venturing to do something extremely dangerous and stupid, most of the time the fear that presents itself in the form of a risk. A proposed risk is a very good indication that you should do exactly that. Let me repeat this: you should almost always do what you fear the most. Again, this applies within reason of your safety and sanity. If you can understand the depth of this revelation, you will push past so many self-imposed barriers and look like an icon before men who settle. So many people do not ever let themselves become what they could be if they really tried. They don’t allow themselves to dwell in realms of infinite possibility, and their lives are forever mediocre because of it. Ask yourself if this risky business in front of you could possibly get you to a desired outcome. If it has no potential to turn out well for you, then why are you considering it? If it’s disguised in the form of a risk, you will want to know that there is at least a chance, albeit small, that you can succeed and prosper. Determine whether you are scared or not, because if you don’t feel at least some fear, you’re likely not thinking big enough. When you go in pursuit of your highest ideals, the possibility of you achieving them should shake you up a bit. Risks are named risks for a reason. It’s not going to be a simple, easy ride to the destination without any bumps or curves along the way. You should know this before starting out. When opportunity knocks in the form of a risky looking situation, you will want to understand exactly what you could lose or gain from it. Don’t hastily jump in without thinking what could go wrong, and do not simply be blinded by the potential rewards. Either path leads to ruin. Instead, take the fighter pilot’s approach and determine three potential paths. Fighter pilots always plan at least three the outcomes because they need to make split-second decisions in the moment. First, figure out the absolute worst-case scenario that could happen. Then decide on the absolute best case that could unfold before you. Lastly, decide in your mind what is most likely to happen given the current circumstances. When thinking of the worst case: could you get yourself back to where you are now with minimal effort? While thinking of the best case: How likely is this outcome to ensue? When thinking of the most likely: What would you have to learn, practice and master for this outcome to take place? Tim Ferriss helped me cope with my fear through his book, The Four Hour Work Week. We look for no brainer decisions. We don’t leap over seven foot fences; we look for one foot fences with big rewards on the other side. It’s simple and profound business and life advice backed by billions upon billions of dollars. Sometimes, you can take decision paths that will require a small bet, but these will only ever lead to mediocre results. The greatest people in history have always seized the risk by the throat and taken full advantage of the situation. These memorable heroes have always erred on the opposite side of caution by taking risks in life. They had the tenacity to plan as much as they could, learn and grow, but in the end they stepped into that mysterious cave they were afraid of to obtain the treasure they sought. This is the way to win big; there are no other ways around it. By playing it safe, you will always be stuck to clinging to a safer option. It is impossible to build new things up while you are maintaining or destroying the old pathways. Socrates showed us this. Don’t think in the conventional ways that millions of simple-minded people go through life. Oops, I mean faced with taking risks in life. You’ll know the right feeling and choice, when you get into the position. Your body will tingle, mind will race, and you’ll get extremely excited. It’s exactly how I felt when I made my big shift. PreviousShould You Learn From Your Mistakes or Others’? 2 Replies to "Taking Risks In Life Is Exactly How to Conquer Your Fear"
What are the biggest things you want to achieve success in and what are your biggest problems getting there? My main mission is bringing out the most in people. Empowering hundreds of millions of lives. At times I forget to eat, sleep or go mastermind with my friends on similar paths!